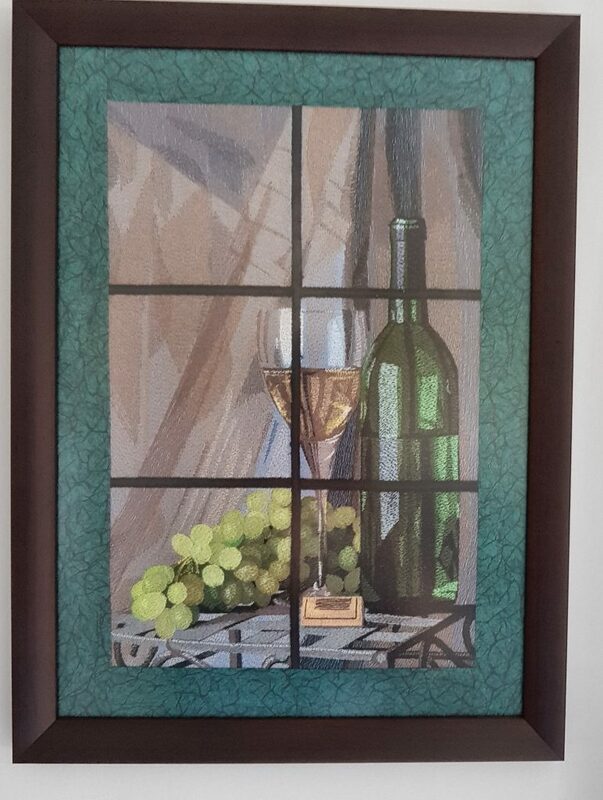 Cheryl Stitched one of Fred’s Wine designs. I love the glass – it seems you are looking right through it. Beautiful job Cheryl!